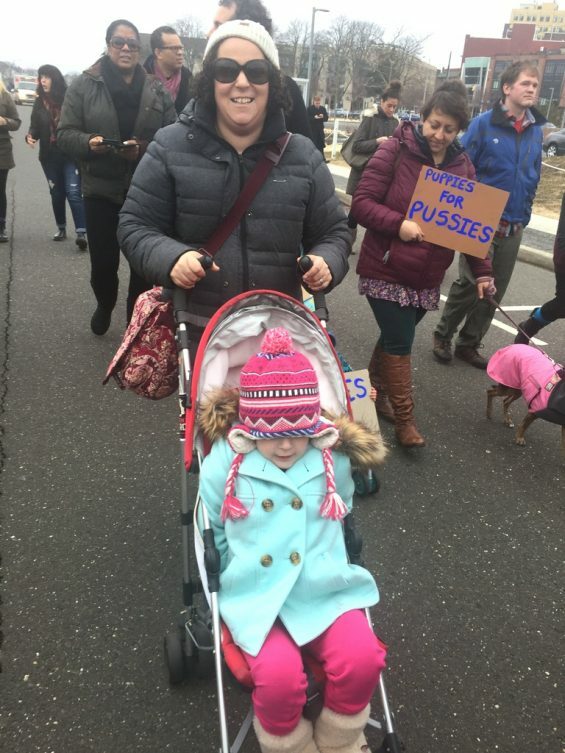 And H and I marched, in Asbury Park. With one of my lovely quilt friends, Natalie, and her family. Originally Adam was considering coming, too, but then H decided she wanted to stay home. I was going to be on my own. But then as I was getting ready to leave, she changed her mind and wanted to come protest. Adam was still in his PJs, with a healthy to do list for an afternoon planned watching the small human, so the girls went solo.